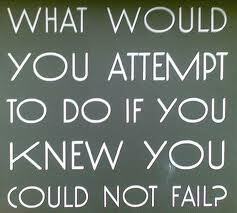 Make your attempt like there is no chance to fail. This entry was posted in Uncategorized and tagged aim, attempt, dream, effort, goal, inspiration, life, motivation, target. Bookmark the permalink.